I've joined in with Laura and the year in books ever since it first launched, and I'm annoyed that this is the first time I've missed a month! But April saw a lot of train journeys, plus the Easter holidays (work was shut either side of the bank holidays, so six days off, hurrah!) so for once, there has been plenty of reading. I could also add that these books weren't exactly taxing, so I did manage to read through them quite speedily. 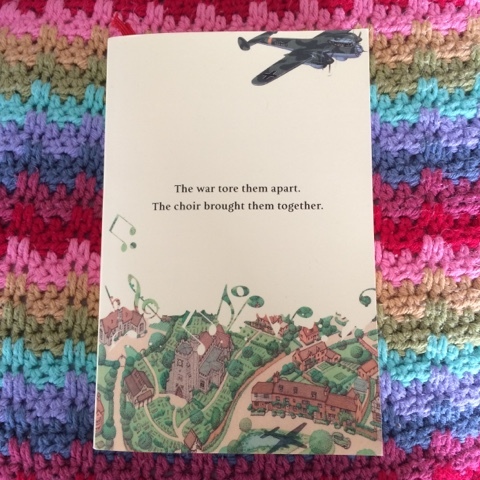 My book for April was Chilbury Ladies' Choir by Jennifer Ryan*. Set during WW2, the Chilbury choir is disbanded when lots of the local men are involved in various war efforts. A few ladies decide to start their own choir and the stories of these ladies unfold throughout the books. It started off very well, I was enjoying it, but then I got bored (there was a midwife involved in a secret plan I found entirely unconvincing) and skipped quite a lot of it. The ending made complete sense, without me having to go back and find the bits I'd missed, so I'm glad I didn't spend too much time reading this. I've left it with my mum to read, and see if she has any more joy with it. 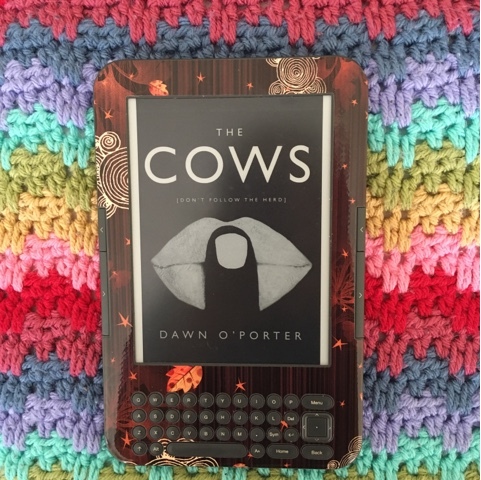 The Cows by Dawn O'Porter** I saw being raved about on Twitter, and requested a copy. I've not read anything by Dawn O'Porter before, other than magazine columns, and I know people either seem to love her or don't quite get her. The Cows follows three women (a single mother, a successful child-free blogger, and a woman who desperately wants a child) and it's very much a book of our time. There are references to blogging, Twitter, trolling, and characters who are reflective of different attitudes held by, and of, women today. However, it starts with an event I found so far-fetched (which takes place on an empty tube carriage at 11pm on a Friday night, I've never been in an empty tube carriage, let alone at the weekend). I am happy to suspend disbelief whilst reading, but I can't help finding this a bit far-fetched and that influenced how much I enjoyed the rest of it (no, he couldn't possibly have said that, because you couldn't possibly have done that! argh!). However, aside from that it's a good story, and kept me entertained on the train to Birmingham. 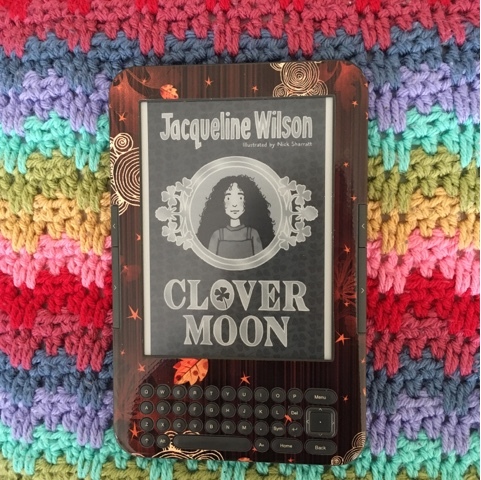 Clover Moon by Jacqueline Wilson** is one of her historical books, and follows Clover as she battles her nasty stepmother whilst trying to look after the little children in her street in Victorian London. She dreams of a better life for herself and her siblings. A lovely quick read, although it's already confused in my mind with the Sapphire Battersea books I read last year. As a general rule, I do like reading children's books - they've usually got a good story which moves at a good pace. Penny Farthing and the Man in the Moon by Mark Roland Langdale** was not at all like that. It was too surreal for me, I managed about four pages before deleting it from my Kindle. 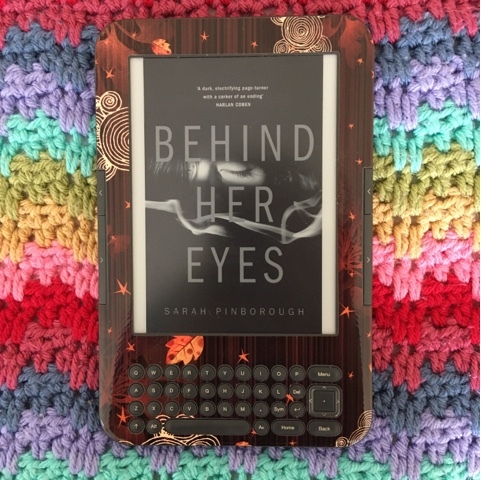 Behind Her Eyes by Sarah Pinborough** was a book I'd had on my Kindle for a while, and started reading it on the train home the other weekend. The thing I've found with NetGalley books is that often there isn't a blurb, so if there's a gap between requesting and reading them, I often forget what they're about (unless of course I google them). So I started reading this, without knowing what it was about, and was quite enjoying it. Adele is in an uncomfortable marriage, Louise is the secretary working for Adele's husband. 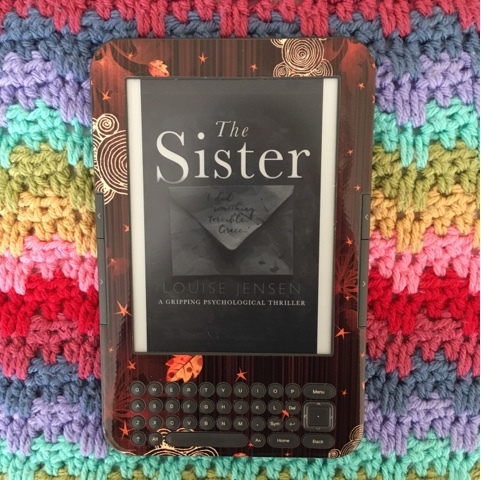 I did what I usually do when I'm a few chapters in, and read the ending (I have always done this, I'm not going to change my ways) and oh my goodness the ending was so utterly ridiculous I had to stop reading. Not my cup of tea at all. 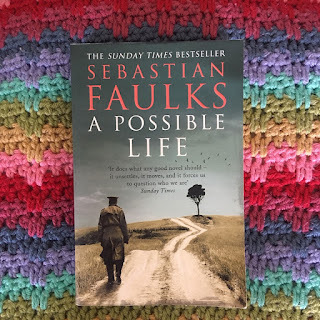 I can't tell you why the ending is so ridiculous, as obviously that gives the whole thing away, but I'm pleased I didn't spend any more time reading it as I would have been thoroughly annoyed whenever I reached that plot 'twist'. I've seen the reviews on Goodreads and I'm not the only one annoyed by it! The Sister by Louise Jensen** was better than Behind Her Eyes, in the sense that I didn't immediately delete it, and ideal for reading on a train, but that was only a week ago and I can't tell you what it was about. Clearly I need to pay more attention, or read books which are better for me. 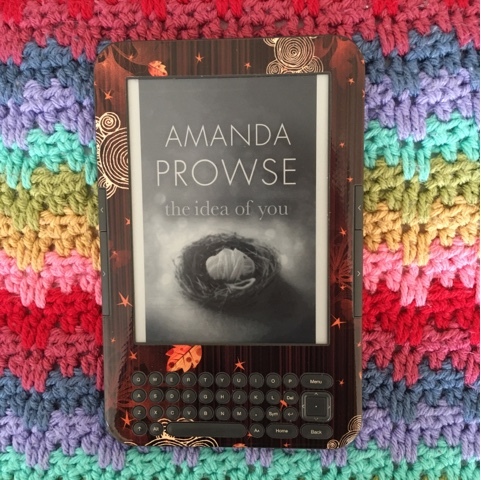 In The Idea of You by Amanda Prowse** Lucy and Jonah experience a miscarriage and the rest of the story explores ideas of what it means to be a parent. I would have enjoyed this more had it not been for the rather unnatural dialogue in places and rather odd timelines. 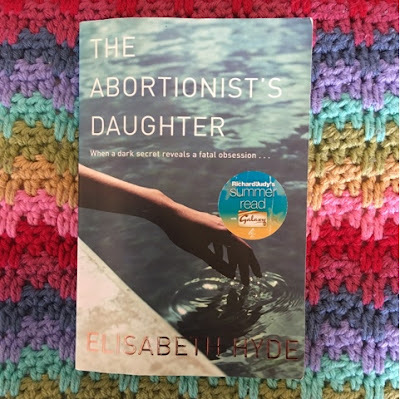 I've had The Abortionist's Daughter for a while now, I bought this copy from our favourite local charity warehouse but I'm sure I've owned a copy before. Anyway, I thought it was about time I read it, and I wanted a bit of a whodunnit. Megan's mum owns her own reproductive choices centre and is found dead in her home, with a rather large head injury. Who killed her? The husband she argued with? Any of the anti-abortion lobbyists who've threatened her in the past? The characters were a bit flat for my liking, there wasn't really a build up to finding out the killer's identity, and it wasn't the book I was expecting. And with that, we enter May. I have no planned books to read, I feel I ought to challenge myself and read something I'm going to remember in a few weeks, but then again, I read so many challenging things for work, why bother in the evenings too? Let's see! *Provided by the publisher and **provided by the publishers via NetGalley. All thoughts and opinions are, of course, my own.